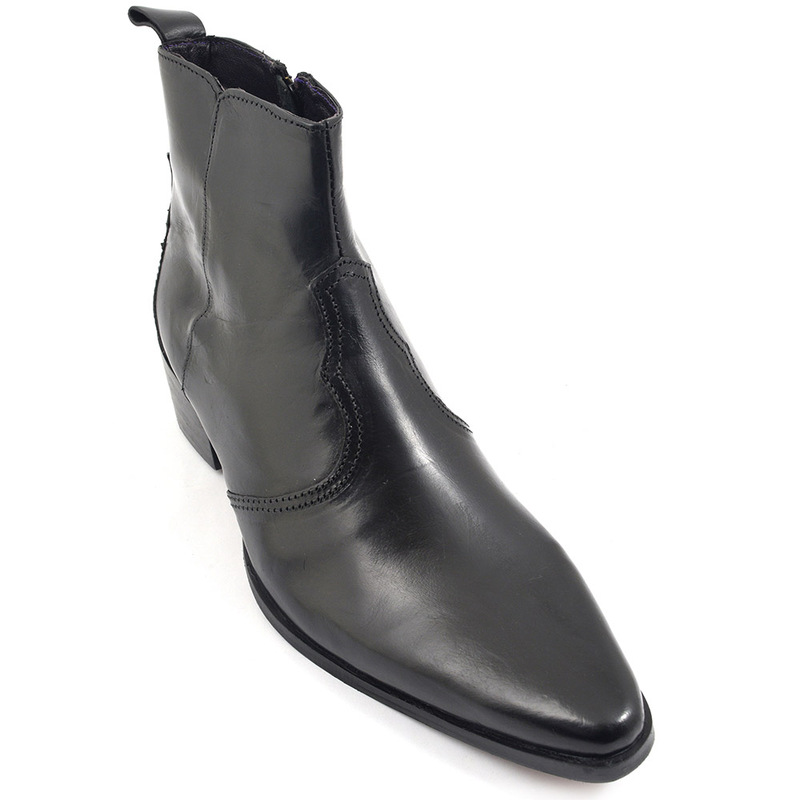 A black pointed heel boot with zip fastening. There is stitch to the vamp which gives detail. The heel is a cuban and is 4.5 mm high. 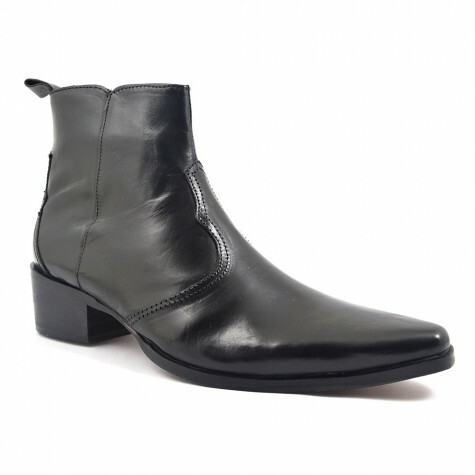 This black pointed toe heel boot is a winkle picker style which has an edgy feel. 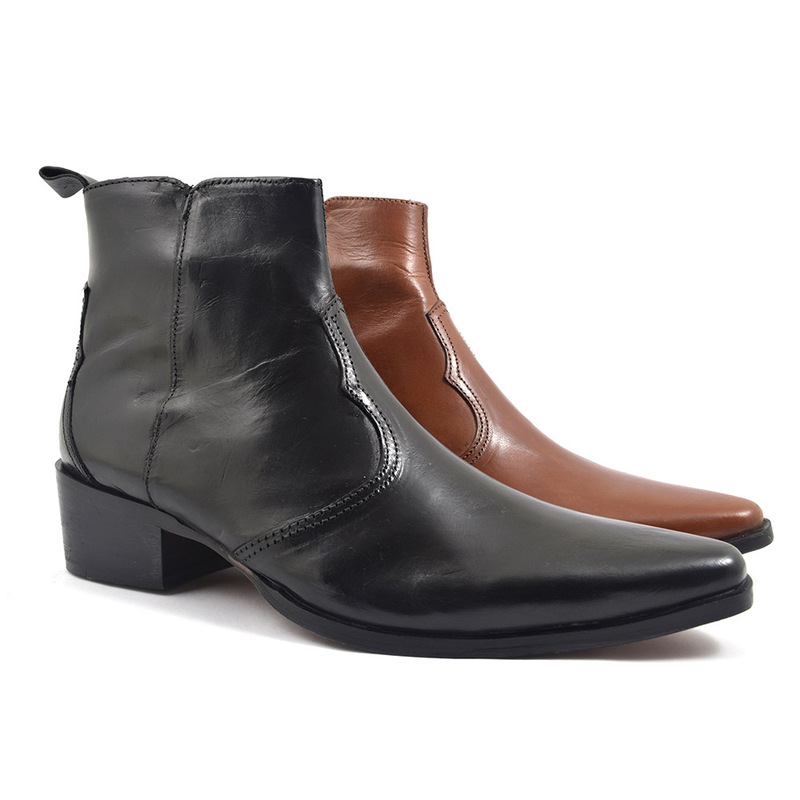 The heel height is 4.5mm and is called a cuban heel. This is because of the latin dancers who wore these to create drama and sound with their movement. However, the fact is that men have been wearing heels for centuries! there is evidence dating back the Mongolian era where horsemen had heels to keep strong int heir saddle when fighting on horseback. 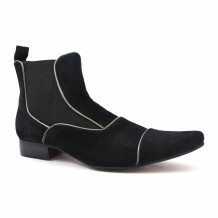 One the years their has been rise and fall in the height and fashionability of the mens heel. We only need to consider the French aristocracy and know they loves a good heel! 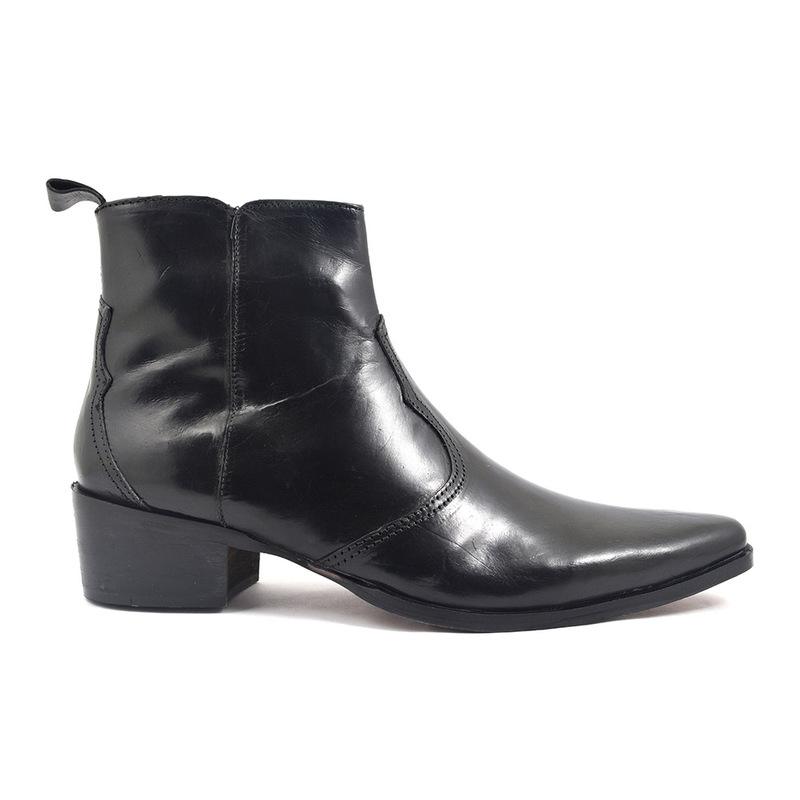 We think they would have loved this black pointed toe heel boot. Oh to be beside the seaside! Picking winkles….and there you have it. The name for these pointed toe boots comes form the utensil used to pick out those difficult creatures form their shells. They became popularised in the 50s with the rock and roll kids, the 60s with mods and carried on through goths and indie lovers. So we get to these babies. 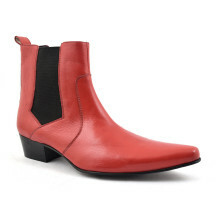 This black pointed toe heel boot even has a touch of the cowboy boot in the stitching. It has all the trappings of the decadent winkle picker and a cuban heel to boot! 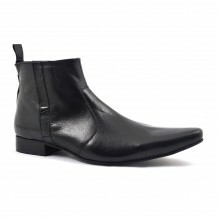 Be the first to review “Samso Black Pointed Heel Boot” Click here to cancel reply.